I bet when you think of Christmas nails, the colour brown never comes to mind, huh? Don’t worry, it doesn’t for me either! But when I saw these reindeer nail decals in my stash, I knew it would be perfect for those who like to stay away from the traditional green and red tones. I started by painting my ring finger with two thin coats of Beyond the Nail – Bright White. 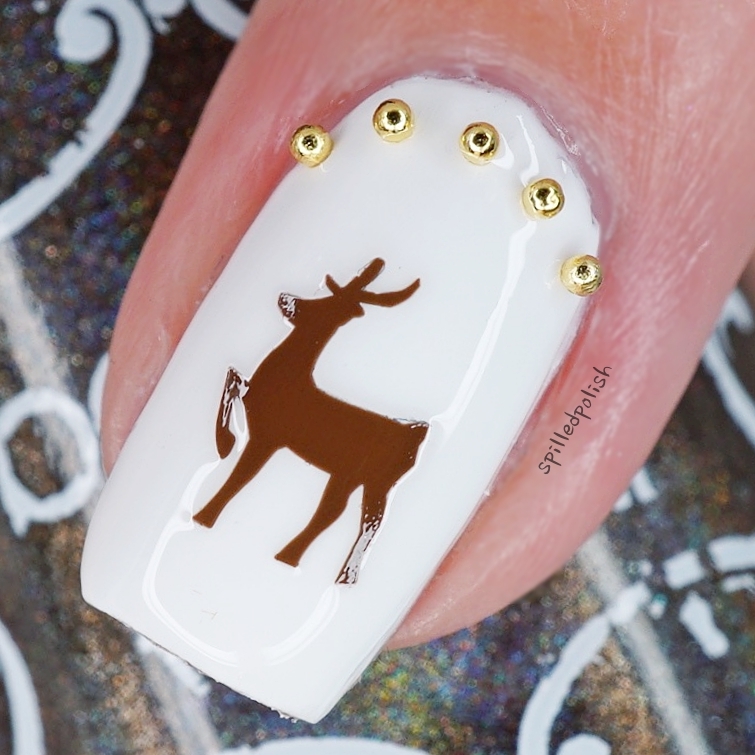 When it was dry, I placed on a Reindeer Nail Decal in the middle of my nail. For the rest of my nails, I painted two thin coats of Beyond the Nail – Cabin In The Woods. 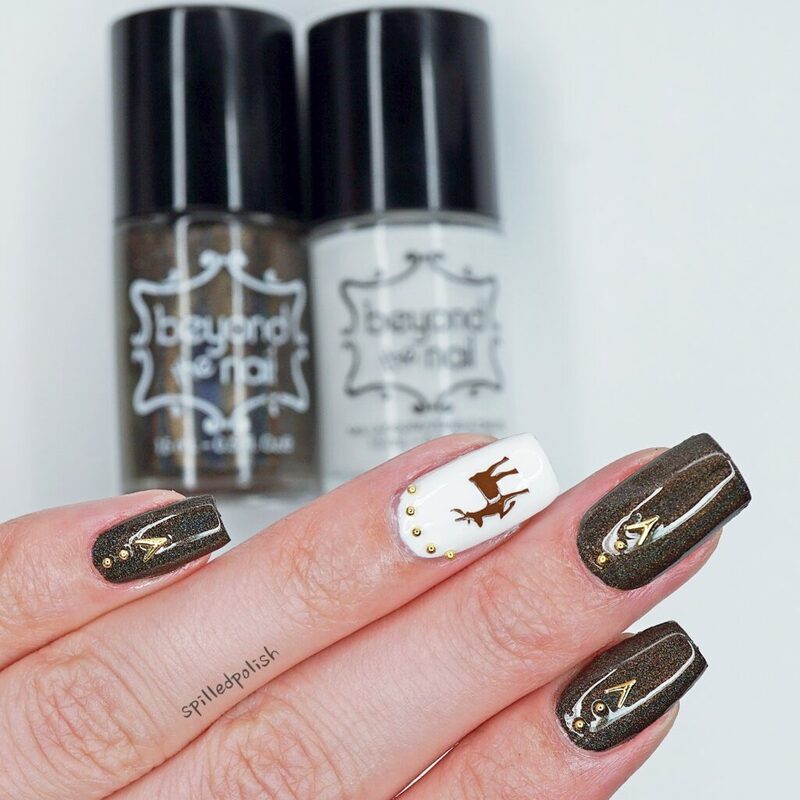 When everything was dry, I topped each nail off with one coat of Beyond – Base and Top Coat. I immediately placed on some gold nail studs from BornPrettyStore to each nail. 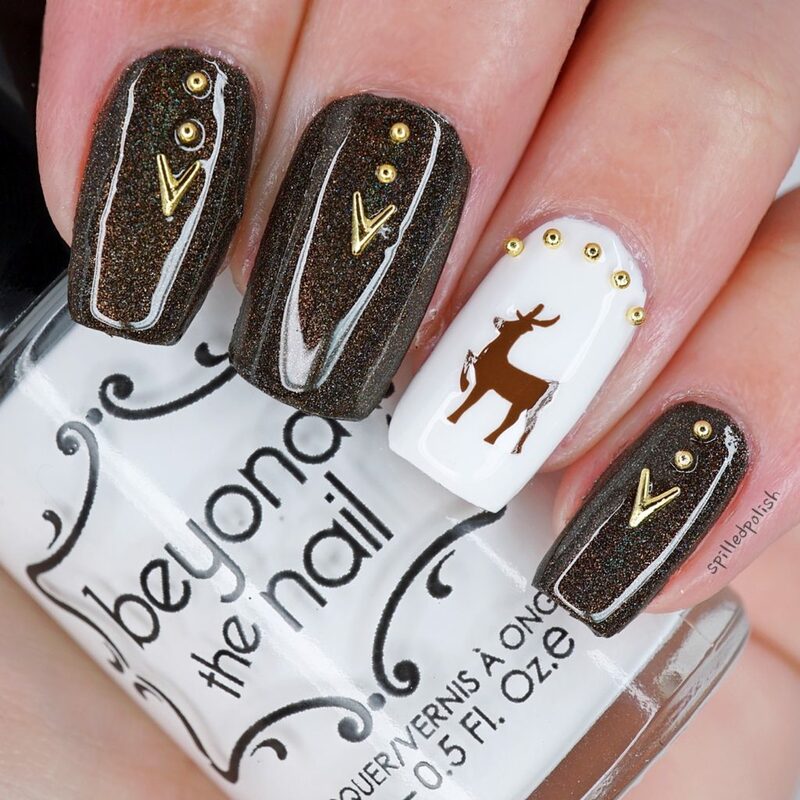 What do you think of these Brown and Gold Reindeer Nails?